A guide to flexible serviced offices, office space and workspace to rent in Dubai as well as general information that may be useful if you are thinking of renting office space in Dubai. For further offices information or to search offices for rent in Dubai just click. Or contact us for any other query. Rising from the desolate sands of the Arabian Peninsula south of the Persian Gulf, Dubai is one of the most modern cities in the Middle East and an international icon of capitalism and commerce. The city is located on the coast of the United Arab Emirates (UAE) and shares borders with Sharjah, Oman and Abu Dhabi. The area around Dubai was first settled in the seventh century by the Umayyads, the first true Muslim dynasty. The Umayyads introduced Islam to the area and opened up numerous trade routes. The first mention of the area by a European was in 1580 from Gaspero Balbi, a pearl merchant, who traded heavily in the region. The city was properly established in the early 19th century by the Abu Falasa clan. However, in 1833 the Al Maktoum clan invaded from the neighbouring Abu Dhabi and assumed power, which they still hold to this day. Gradually Dubai turned into a major trading port as well as an important hub of the pearl industry and its population prospered. In 1892, Sheikh Maktoum signed a treaty with the British which turned Dubai into a British protectorate. This was followed in 1894 by the decision to grant a full tax exemption to all foreign traders. This further boosted trade and many foreign merchants made their homes in Dubai. In the early 19th century, the pearl industry declined and Dubai experienced political unrest caused by the resulting poverty and perceived inequality between classes. 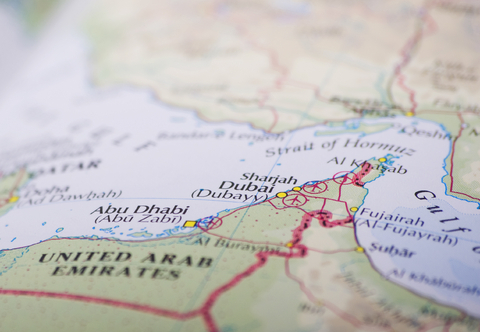 With the help of the British, the Al Maktoum clan squashed the unrest and in the late 1960s, oil revenues helped stabilise the emirate’s economic situation. In 1973, Dubai joined the United Arab Emirates along with Abu Dhabi, Ajman, Fujairah, Ras al-Khaimah, Sharjah and Umm al-Quwain. Since then, Dubai has expanded rapidly, marketing itself as a centre of tourism, commerce, construction and technology. Recently, the economy of Dubai was valued at close to USD 50 billion. Up to the recession in the late 2000s, Dubai was experiencing a construction boom that saw a full third of all the cranes in the world located in the city. Originally the bulwark of Dubai’s economy was its oil and natural gas sector, however, today this makes up less than six percent of the total economy. Dubai’s government has decided to concentrate its efforts on the service and tourism-related industries which in turn has boosted real estate in the emirate. Among the mega projects which have and continue to fuel the emirate’s construction industry are The World, Palm Island, Dubai Marina, Dubai Waterfront, Jumeirah Village and Dubailand. Among the service industries currently important in Dubai are financial services and technology. The Dubai International Finance Centre (DIFC), occupied by top international banks such as Standard Chartered has boosted the city’s presence in the financial services industry, while the Dubai Media City and Dubai Internet City have in turn helped develop the city as an IT and Media hub for the region. Additionally, Dubai has a long-established reputation as one of the most important centres of the gold trade in the world. The Universal Exposition, Expo 2020 will be hosted by Dubai on a 1,000 acre site and will run for six months. The theme for the expo is, “Connecting Minds, Creating the Future”, sub-themes being Sustainability, Mobility and Opportunity.”. Dubai has made large investments in all industries related to the theme, one of these includes creating the world’s largest solar power project. It is predicted that the Expo, which will be attended by delegates from 120 countries will increase GDP for the city-state. 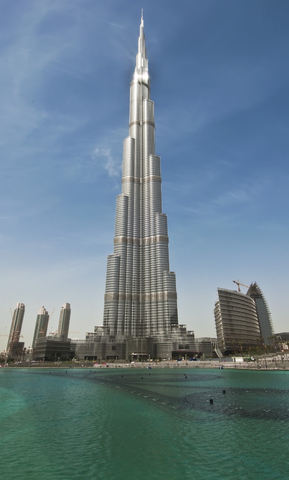 Tourism has become a major part of Dubai’s economy. Among the attractions Dubai has to offer the main ones are year-round sunshine, beaches, shopping and other both ancient and modern attractions. Dubai is singular among its contemporaries in the UAE in that its revenue from oil and natural gas only makes up a small part of its economy. Therefore the emirate has made a concerted effort to boost its tourism industry. The city has been dubbed the shopping capital of the Middle East as is especially known for its souk districts – atmospheric markets where bargaining is part of the shopping process. The city is also known for its numerous and well-appointed shopping malls, which contain some of the world’s most renowned boutiques and labels. In January every year, the Dubai Shopping Festival is held and the entire emirate becomes one big shopping centre, as well as hosting music, dancing and art exhibitions. Tourists in search of old Dubai go to the Bur Dubai area which has large sections of the old city. The Al Fahidi Fort, which dates back form 1799 is another popular attraction for those seeking a slice of history. Dubai is a centre of the hotel industry, and while being seen as fairly high priced, has plentiful accommodation for any tourist. Dubai is served by Dubai International Airport which is the hub for the city’s rapidly growing airline Emirates. The airport is the sixth busiest in the world for international air traffic and is also an important cargo hub. The city itself is served by an extensive bus and taxi system as well as the Dubai Metro which recently went operational. The metro currently has two lines but another is being planned. The Palm Jumeirah development is connected to the city by a monorail which opened in 2009. A favoured way of getting to the Deira area of the city is by using the abras, which are small boats on which one can negotiate the fare. Recently a water bus system was also implemented which can take passengers to various destinations around the city and Port Rashid and Port Jebel Ali. The Dubai International Financial Centre (DIFC) continues to outperform the rest of the office space locations in Dubai. Occupancy costs (including fees and service charges) remained largely unchanged over 2017 at $95 per square foot per year. Demand in core locations remains high due to limited new supply, Free Zone status, international regulatory standards and the quality of local infrastructure. An example of this is that the upcoming stock in DIFC, Gate Village 11, is nearly fully pre-let, underpinned by demand from occupiers for a presence in this internationally-recognised financial hub. In early 2018, the existing stock in prime locations saw a significant amount of office space become available due to consolidation activity and relocations. 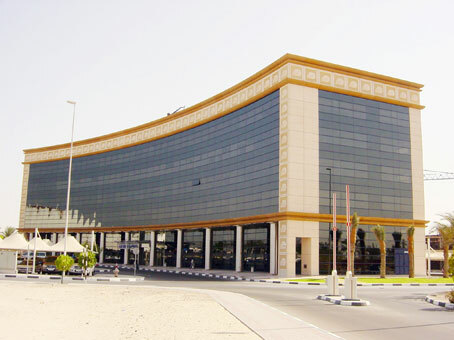 In particular, nearly 30,000 sq ft of space became available in Emaar Square following the merger of National Bank of Abu Dhabi (NBAD) and FGB. HSBC’s move to its purpose-built HQ in Downtown Dubai also freed up space at Emaar Square. HSBC’s move is likely to release 60,000 sq ft to the market and will most likely be made available to a fellow corporate occupier. For further information regarding corporate office space solutions in Dubai, please click the link. Flexible serviced office and managed office space providers such as Regus and Servcorp have long since had a strong presence in Dubai. In line with the rest of the world, there is an increasing amount of flexible workspace options for both small and large requirements, alike, including serviced offices, managed office space and co-working space options. Dubai has a vast selection of business travel accommodation options and we have partnered with Booking.com to bring you all of these in one place.